Welcome to the Boys Vampire Costumes section! 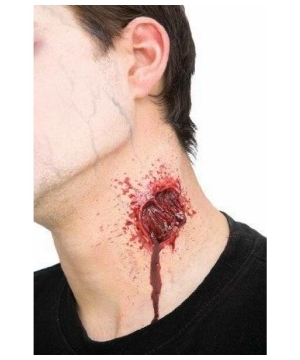 Here you will find nothing but the best Vampire Costumes for boys. Pick your favorite Halloween Outfit and enjoy being a vampire for a night! Is your son a little monster? Does he refuse to eat dishes served with garlic? Does he sleep all day long? Does he transform into a bat and fly away when it’s time for school? If any or all of these things are true, he might be a vampire! 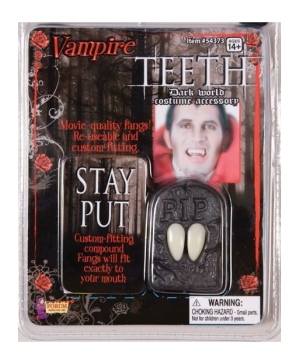 You may as well show him how to dress like one with one of our boys Vampire Costume. Chances are, he is a fan of fashion, his charisma bleeds through pale skin, and he might be interested in the Classic Vampire Costume, which includes a large black cape with a tall collar, a light purple vest and bowtie. The particularly dangerous of young vamps might require an Evil Vampire Costume, a long black robe with red trim and an evil mask depicting a gnarled, nasty face. 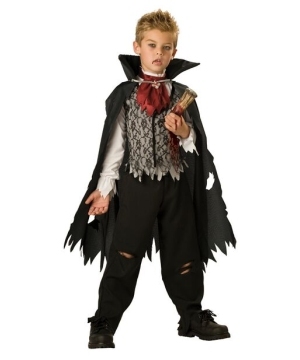 For the teenier vampires, there is also a L’ Vampire Costume, a black and red vampire suit designed for toddlers, since we are too afraid to insult even the smallest of this mythical crew by disallowing an appropriate selection of Vampire boys Halloween Costumes. Find the one that best suits your son best before he locks himself in his coffin and doesn’t come out until suppertime.